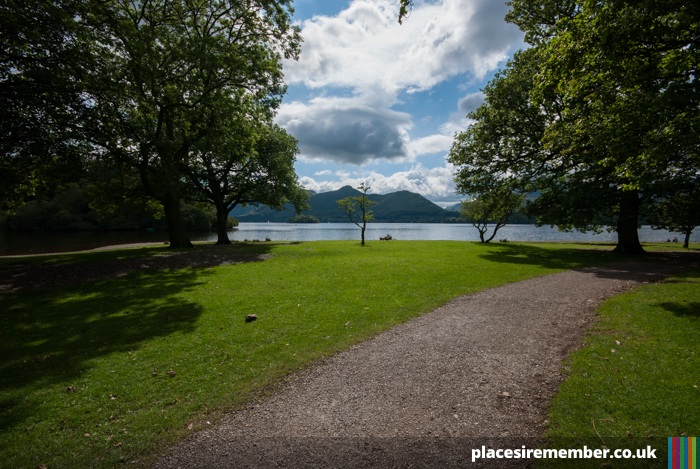 A camping trip to Keswick is always likely to involve a good walk. Surrounded by a vast array of fells varying in levels of difficulty, the main thing to decide is which route to take. Having travelled to the area with parents who boasted a wealth of experience exploring many of the nearby hills and mountains, sound advice on which direction to go – particularly for this inexperienced hiker – was on hand. 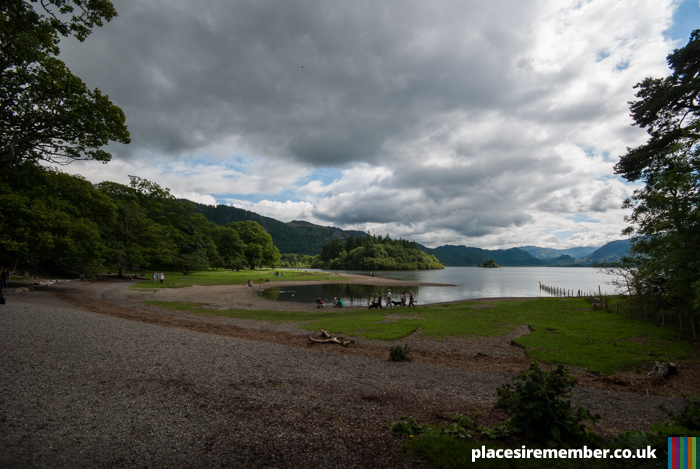 Heavy rain overnight and a miserable morning of drizzle delayed the start of any trek, but once the skies had cleared, there was still plenty of time to set out and enjoy the area. Starting with a stroll around the footpaths of Derwentwater, we headed south past Friars Crag and around Calf Close Bay before further inland and away from the lake, and towards Cat Gill en route to Walla Crag, which is located on the east side of Derwentwater, and provides stunning panoramic views over Keswick and the surrounding area. The steep, rocky path to the top of Cat Gill is certainly one which is easiest done starting from the top, though a successful completion of the ascent to the top is enough to make you feel as though an evening meal back in the town will have been earned, even though there’s still a little further to go before reaching Walla Crag, the eventual destination. 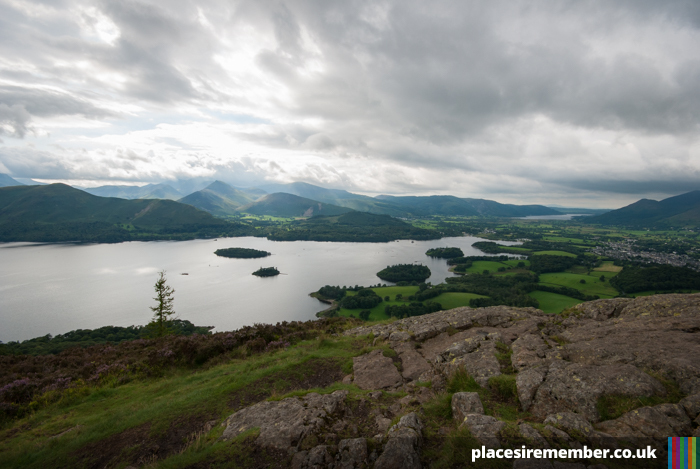 At 376m, Walla Crag may only be a fraction of the height of its more famous neighbours of Skiddaw or Blencathra but still offers spectacular views, taking in the town of Keswick and the mountains north of the town, along with a clear view across to Bassenthwaite Lake, and the fells of Catbells and Causey Pike amongst others which tower above the western side of Derwentwater. The descent back into the town centre covers a much less rocky terrain, which was particularly welcome when the rain returned, albeit briefly. 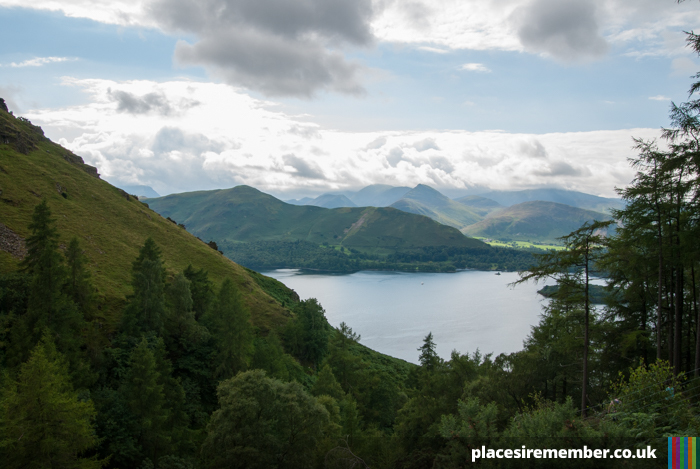 From Walla Crag, the route heads towards Brockle Beck, which runs next to the path used for much of the climb back down, until reaching Springs Road on the southern edge of Keswick. A return to the town centre completed the circular 5.5mile walk. And for a walker with relatively little recent experience of fell walking, the fish and chips which followed was a well-earned reward for a modest afternoon’s work.